Since 1962, A.C. Grace Company has specialized in providing the highest quality vitamin E products to healthcare professionals and consumers. 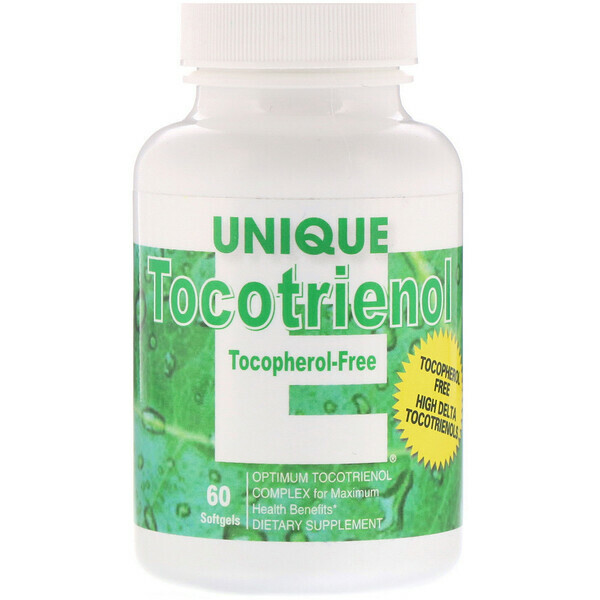 Unique E Tocotrienol is the purest tocopherol-free form of natural vitamin E tocotrienols at the highest concentration available derived from the Annatto Bean. 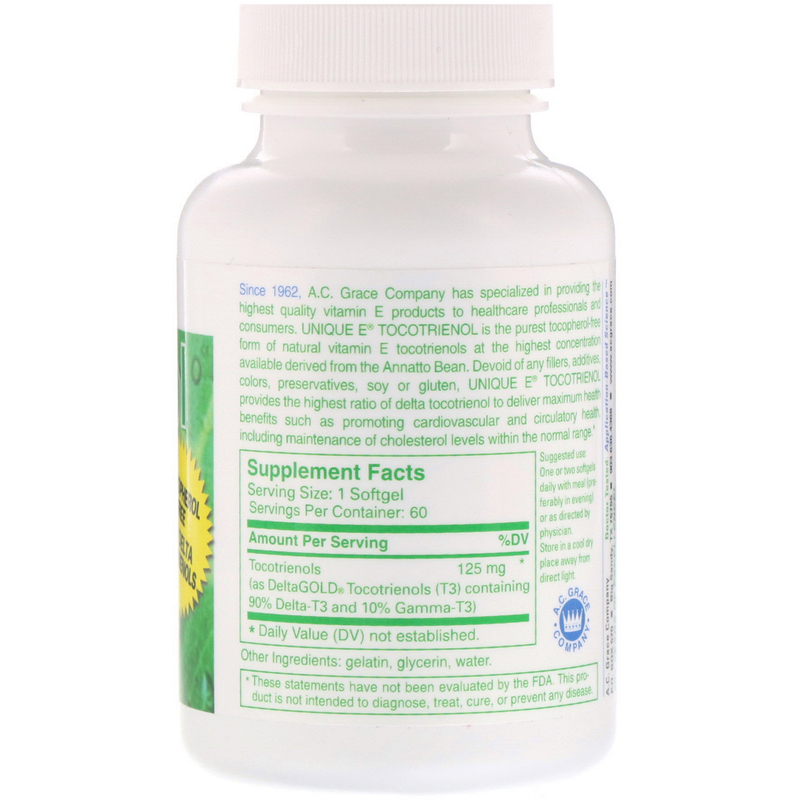 Devoid of any fillers, additives, colors, preservatives, soy or gluten, Unique E Tocotrienol provides the highest ratio of delta tocotrienol to deliver maximum health benefits such as promoting cardiovascular and circulatory health, including maintenance of cholesterol levels within the normal range.